The Convener (David Stewart): Good morning, everyone. I welcome you all to this meeting of the Public Petitions Committee. As always, I ask everyone to turn off their mobile phones and electronic devices, as they interfere with our sound systems. Agenda item 1 is consideration of petition PE1458, by Peter Cherbi, on a register of interests for members of Scotland’s judiciary. As previously agreed, the committee will take evidence from Moi Ali, who is the Judicial Complaints Reviewer. Members have a note by the clerk, which is paper 1, and submissions. Members should note that there is a late submission from Peter Cherbi, which was circulated on Friday. Hard copies of it have been placed on members’ desks. I welcome Moi Ali to the meeting. Thanks very much for coming along. The committee is grateful for the opportunity to put questions and points to you. We will not ask for an opening statement; instead, I will ask you a few questions , after which my colleagues will ask you questions. We will then decide what the next steps on the petition should be. I have a straightforward question to set the scene. 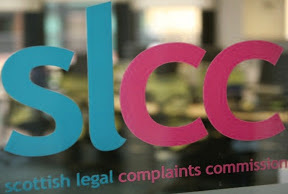 What is the Judicial Complaints Reviewer’s role? Moi Ali (Judicial Complaints Reviewer): The role is new. 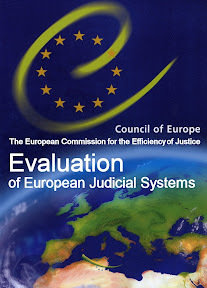 I am the first Judicial Complaints Reviewer, and I have just finished my second year in office. I suppose that I am a bit like an ombudsman without the teeth. 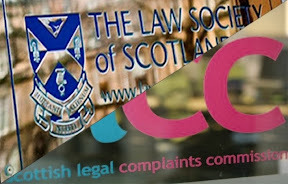 I can review the Judicial Office for Scotland’s handling of complaints, but I do not have an ombudsman’s powers to make any determination other than that the complaint was or was not handled in accordance with the rules. The role is therefore limited. The role is part time. On average, it is three days a month; in fact, it is a maximum of three days a month. I operate on a shoestring budget of £2,000 a year—members look impressed by that. I think that I am coming up to complaint number 54. The start-up was slow, but things have built up during the second year. The Convener: The explanation of your role is useful. 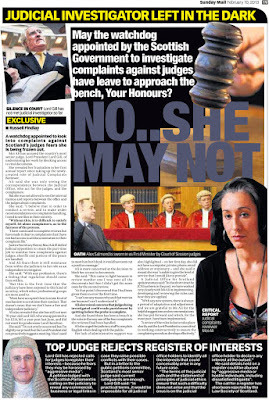 There has been coverage of the issue that the petition raises. One of the judiciary’s arguments is that a register is not needed because there are already strong constraints in the system, such as the judicial oath. How strong is that argument? Is the judicial oath, among the other devices that exist to protect the public, strong enough? Moi Ali: From what the people who have written to me have said, it is clear that it is not. 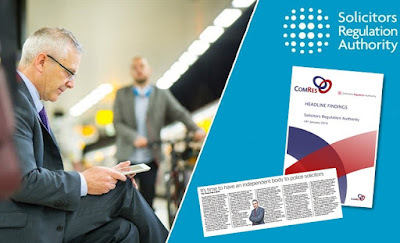 I have not received a large number of complaints, so I stress that we are not talking about large numbers of people, but issues have been raised with me to do with undeclared family relationships, for example, and concerns have been raised with me about membership of a variety of organisations. organisations that might be seen as incompatible, and friendships. There is a wide range of issues and it is difficult to itemise them all. Issues have been raised with me through complaints. Members of the public have felt that a host of things are undeclared, that unless we go out and look for them, we will not necessarily know about them, and that, if a register of interests was published, people could simply refer to one point and assure themselves that, if a recusal was necessary, they would have the information to ask for that if it did not happen automatically. 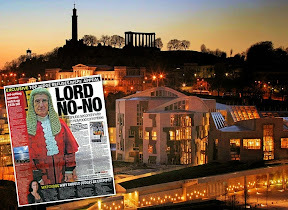 The Convener: One of the points that the petitioner makes is—to paraphrase him—that there are registers of interests for ministers, members of the Scottish Parliament and members of Parliament and, if that is good enough for politicians, why is it not good enough for the judiciary? How do you respond to that? Moi Ali: I agree with that. In the 21st century, pretty much everyone is expected to register their interests. I would be hard pressed to think of people who are not expected to register their interests in some form or other. If anything, the move is towards even more transparency. In the past, a register of interests would be locked away in a cabinet, whereas today, virtually all organisations publish such registers on the internet and they are easily and widely available. The public trend is towards more and more openness and accessibility. Accountability has to go hand in hand with judicial independence. Accountability is really about saying, “These are what our interests are.” Everybody else declares them, so it is difficult to argue that that should not happen for one sector of society. The Convener: I now invite my colleagues to ask questions, starting with Chic Brodie. Chic Brodie: And you have had 54 complaints. Moi Ali: Yes—over two years. 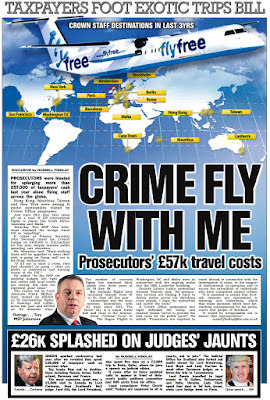 Chic Brodie: Clearly, £2,000 is a problem. Is that a problem in relation to the number of complaints that you get? Might you get more if there was more substance behind you? I am not saying that there is no substance behind your job; I am talking about being able to raise the job’s profile and make people aware of the role much more widely. 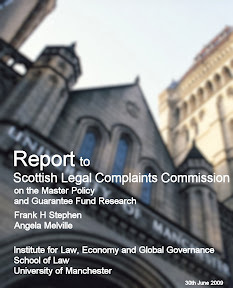 Moi Ali: The answer is probably not, because the complaints system is structured such that people have to make a complaint through the Judicial Office for Scotland and, when they get the final letter from the Judicial Office, it refers to me as the reviewer. People who have gone through the complaints system will be aware that I exist. Having a larger budget would make my life easier, but I do not think that it would have any impact on the number of complaints that I receive. That number is what it is. Chic Brodie: I understand that you cannot discuss specific complaints. However, you have referred to various cases in which complaints have been raised that have suggested bias in the judiciary. To get a feel for the extent of any problem, it might be useful if we could understand the general nature of the complaints that have been made that suggest bias. Can you tell us about that? Moi Ali: I can. I asked three people who made such complaints to supply me with a paragraph summarising the complaint and a paragraph on their views on whether a register of interests would have helped. 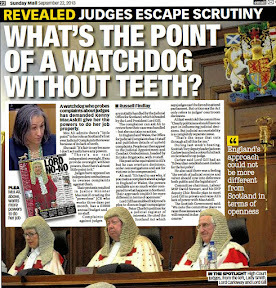 “Basically in a nutshell I am saying judges in Scotland are routinely sitting on cases when they ought not to. 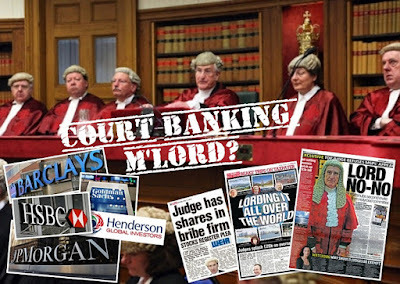 Regarding my own case, had the two judges Lords X and Y declared their interests in my case, I would have definitely asked them to recuse themselves. 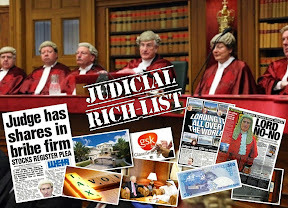 By not doing so themselves, they have brought the judiciary into disrepute...A register of interest would have thrown up in my own case that Judges are sitting in judgement of their father’s case and that Prosecutors (Now Judges) are routinely sitting in judgement of their own cases at appeal levels when according to the Dean Of Faculty, natural justice demands a judge cannot judge his own cause”. 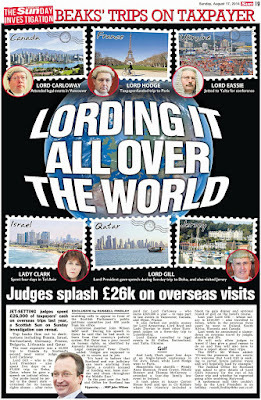 Mr A says that “A classic example is the name changes they make to hide their links to other judges”. That is one example, concerning family relationships. 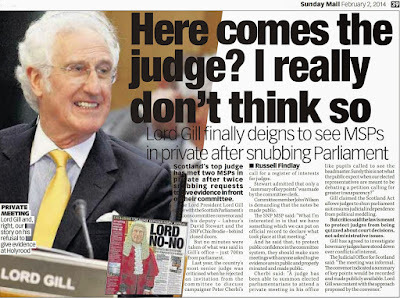 A second example is the case of Mr C, who has concerns about social relationships between members of the judiciary. He then talks about how special or personal friendships can have an impact. The third example that I have brought is from an organisation that wrote to me to seek a review. 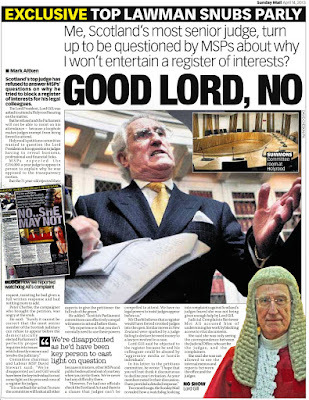 It feels that a member of the judiciary’s membership of another organisation is incompatible with their judicial role. It says: “A register of interests, in small part, addresses this matter. We are of the opinion that any register of interests, if it has to serve public interest, must incorporate legislation/provisions which allows declared interests of the judiciary to be challenged and remedied where appropriate. Those are three real-life cases that I have been involved in reviewing. Chic Brodie: It is fair to say, on the basis of one of the examples that you gave, that most judges move in the same circles. Do you believe that they discuss individual cases? Moi Ali: I cannot comment on that. I do not know. Chic Brodie: We are trying to seek transparency and understand why some judges and those who manage—in inverted commas—the judiciary believe that they are above the law in terms of bias. 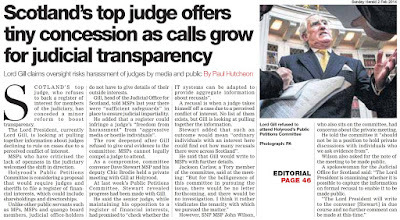 Do you think that having more transparency is a goal in itself or is relevant to whatever decisions the judiciary make? Moi Ali: Having more transparency can only be a good thing, in any area of life. I know that it has a downside, and I have read the response to the petition that states that the proposals are intrusive and could attract negative media reaction. However, that goes hand in hand with accountability. Someone who has a senior role in public life must be aware of the impact that their actions might have. Greater transparency enhances the credibility of any group of people, whether they be members of boards, politicians or the judiciary. What came through strongly from the examples that I read out—the words of people who have made complaints, not my words—is that all those people felt that having more openness and transparency would enhance the judiciary. That is very true. I genuinely do not believe that there is widespread bad practice among judicial officeholders, but public perception is really important. Sometimes things happen that should not happen and, without openness, it is very difficult to identify that. When such instances are identified, the feeling that I get from people who write to me is that there is a cover-up. 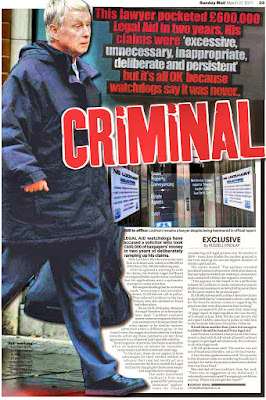 It is easy to believe that there is a cover-up when there is no transparency. Chic Brodie: Why do you think that the protection of the judiciary, by its members not having to subscribe to a register of interests, was written into the constitution? Moi Ali: You would have to ask the people who drafted the legislation. I do not know.This is speculation, but it has long been the case in this country that particular groups are harder to challenge. In the past, one such group was the medical profession. I had a look at the website of the General Medical Council—the regulator of doctors. Although I think that it would have resisted this strongly in the past, it now publishes registers of interests, records family relationships of its council members and so on. At one time, it was difficult for politicians to take on that group. It is perhaps difficult to take on the judiciary, because judicial independence is always mentioned. As I said, that is a cornerstone of democracy, but because there has been no separation of accountability and independence, it is easy for the judiciary to say, “We are independent, so don’t interfere in that.” Unless independence and accountability are separated, legislation will continue to include no requirement for more openness and transparency. 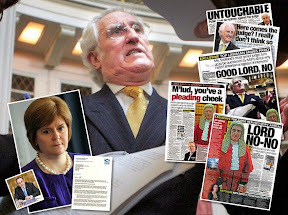 Angus MacDonald (Falkirk East) (SNP): Good morning. In the spirit of the petitioners, I refer members to my entry in the register of interests. You have said that you have had to complete registers of interests for roles in public bodies such as the Scottish Ambulance Service and the Scottish Police Authority. You state that you believe that the completion of such registers is not an onerous task or an onerous process. Will you give the committee more detail of your experience of completing registers? Will you expand on your view that such a task is not onerous? Moi Ali: The process is straightforward and is probably similar to the way in which the register of interests operates for MSPs. The secretariat writes to me once a year and I am given a pro-forma to fill in. The pro-formas differ slightly for each organisation, but they generally ask about family relationships, possibly the holding of shares or property, relationships with organisations that might have an impact on decision making and that sort of thing. The pro-forma takes no more than 10 minutes to fill in. After the pro-forma is completed in year 1, it comes back to us in year 2 and we are asked whether anything has changed. If a substantial change takes place in the interim, a person will notify the relevant board. That is it—it takes 10 minutes in year 1 and perhaps five minutes in subsequent years. It could not be easier to do. 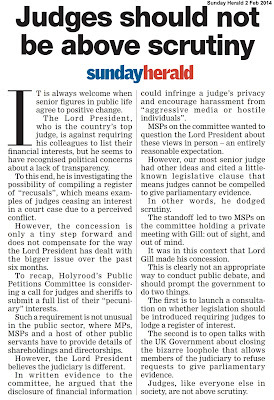 David Torrance (Kirkcaldy) (SNP): The Lord President believes that the existing obligation of judicial independence and impartiality means that there is no need for a register and that, if such a register existed, it could impact on judges’ privacy. 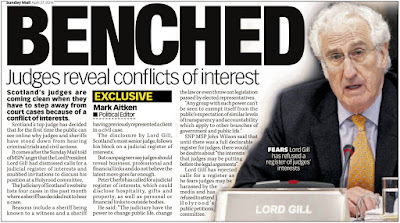 It has also been suggested that it would be difficult for judges to list all their registrable interests. Can you comment on that? Moi Ali: To a degree, a register of interests involves a loss of privacy. However, if someone has a position in public life, as I do, the public have a right to know what gifts and hospitality they have accepted and what companies they have an interest in. That is right, I think, and it goes with the terrain. 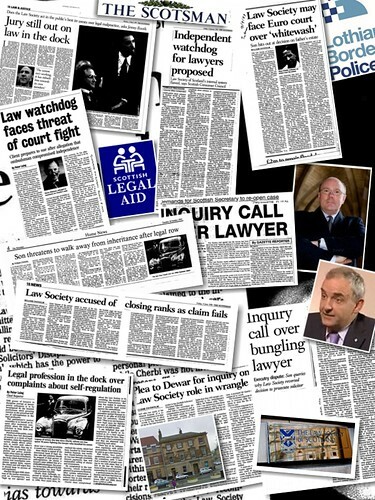 For many years, those who sit on boards have accepted that the public have a right to that information. I agree with the Lord President that a register is intrusive, but I think that that is the price that we pay in an open and accountable society. 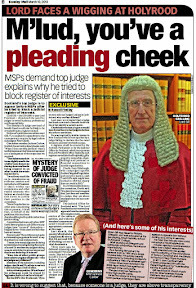 John Wilson (Central Scotland) (SNP): You commented earlier that judges should recuse themselves when it is appropriate to do so. 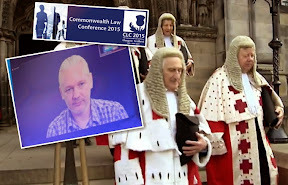 You said earlier that a complainant felt that he should have been told that the appeal judge who was dealing with his case was the son of the original judge. 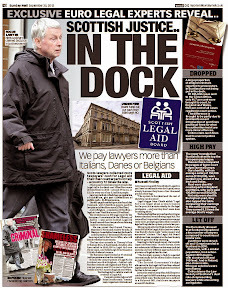 How often do judges recuse themselves? Do you think that they recuse themselves when it is appropriate? Moi Ali: It is impossible for me to say. I can comment only on what comes to me from the people who write to me—that is the only evidence that I have. 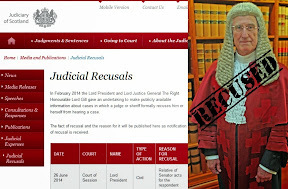 People have written to me to say that they felt that there should have been a recusal but it did not happen. Beyond that, I could not comment, as I do not know. 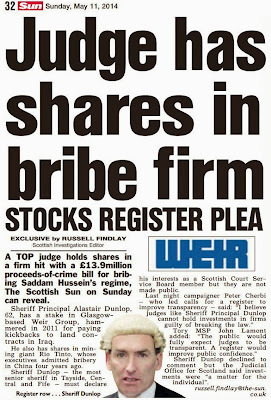 John Wilson: Do you agree that there should be a full disclosure register? As an elected member of the Parliament, I am required to update my entry in the register of interests regularly to reflect any changes in my interests relating to hospitality or events and in relation to organisations of which I have become a member. That is done regularly, not annually. 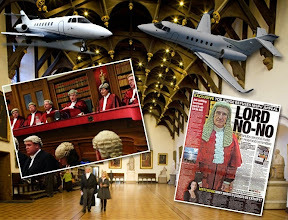 Would it assist the transparency and openness of court procedure if judges were required to complete and maintain a register not only of their pecuniary interests but of any other interests that they have? Moi Ali: Definitely. The issue that comes through in everything that I have looked at is that of perception. The consultation on the register of interests of board members that is currently on the Scottish Government website uses the word “perception” constantly throughout. One key issue is about how the public perceive m atters. I am not suggesting that there is widespread bad practice or nepotism or anything of that nature, but it is really important that justice is not only done but seen to be done. For example, in the Scottish Government’s consultation on amendments to the code of conduct for members of devolved public bodies, the draft code states: “this ensures transparency of your interests which might influence, or be thought to influence, your actions”. It continues: “you must consider not only whether you will be influenced but whether anybody else would think that you might be influenced”. It also states: “You must always remember the public interest points towards transparency”. It goes on and on in that vein. 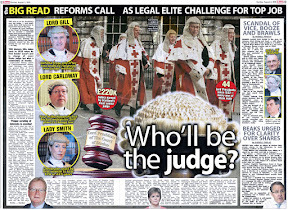 For me, the issue is that the public need to have confidence in the judicial system. By having transparency, we will build public confidence and people’s perception will alter. In most of the letters that I receive, what comes through to me strongly is the feeling that people are all in cahoots. I do not suggest that that is the case with the judiciary, but people have the feeling that they do not really understand how the system works. Perhaps a judicial office-holder should have taken a certain action but did not do so. 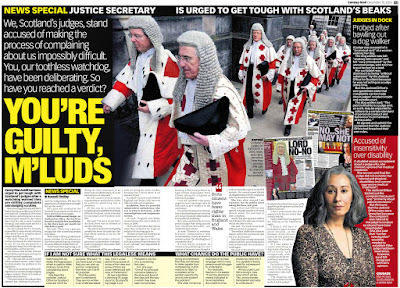 Someone might complain to the Judicial Office for Scotland but have the feeling that they look after their own. There is a feeling that the whole thing is a big cover-up. I do not believe that that is generally the case but, because there is no transparency, it is easy for people to believe that. John Wilson: You rightly point to the crux of the matter. 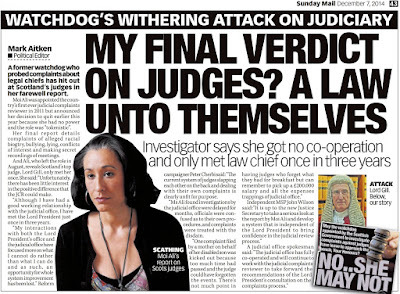 We must try to get to a position where people do not feel that there is a close-knit community making judicial decisions in the courts at a very senior level who have relationships or colleagues that they could be seen to be protecting or supporting. Do you have any indication of how many judges have recused themselves from cases that they have been about to try or have tried? Moi Ali: I am sorry, but I do not know the answer to that. John Wilson: Right. We might want to ask the Lord President that question. We received a written submission from a Mr Beck, who refers to judges having to recuse themselves as “a duty enshrined within the Bangalore Principles”. Are you aware of the Bangalore principles and what they set out as guidance for judges? Moi Ali: Only in passing—I could not claim to be an expert. The Bangalore principles are about judicial independence and cover, for example, the issue of recusal. It is left to the judicial office holder to take a decision on whether recusal is necessary. That is probably a question for the Lord President. Anne McTaggart (Glasgow) (Lab): You mentioned in your opening statement that you do not have much power, or that your role lacks teeth. What outcomes have you had from some of the 54 cases that you have investigated? rules were followed. It is difficult for me to answer your question, because my role is simply to say whether or not the rules were followed. Anne McTaggart: What happens if they were not followed? Moi Ali: In that case, I could make a referral to the Lord President. In England and Wales, the ombudsman can say that they do not think that a decision was right and can ask for it to be reinvestigated, or whatever they think should be done. All that I can do is to say to the Lord President, “The rules were not followed—here you are.” I can make no recommendation as to what should happen. At this stage, I am not clear whether I will always be told what happens as a result of a referral, so I have written to the Lord President to try to clarify that. I have been told the outcome of most of my referrals to him. However, a while back, I referred a case that I understood was to be reinvestigated, but I have not heard anything more about it, so I am trying to clarify the situation. My concern is that I might feel that the rules have not been followed and send a case back but then never know what has happened. I am seeking clarity on that, because the rules do not say what should happen when I refer a case back. The Convener: You have made a comparison with the ombudsman in England and Wales. 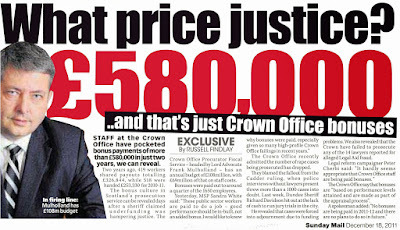 I presume that the powers there are a lot stronger and that the budget is much bigger than £2,000. Will you briefly outline the differences between your role and the role of the ombudsman in England and Wales? Moi Ali: The roles are very different. 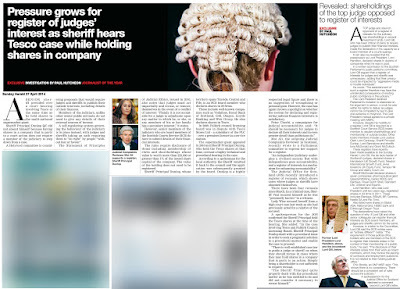 In England and Wales, the ombudsman’s role is twofold: he reviews complaints about judicial office-holders in the same way as I do, but he also reviews complaints about judicial appointments, which are a completely separate matter. 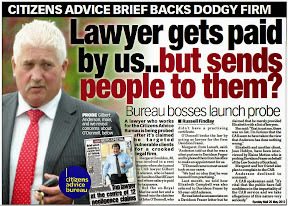 As an ombudsman, he can ask for an apology or for another investigation to happen. 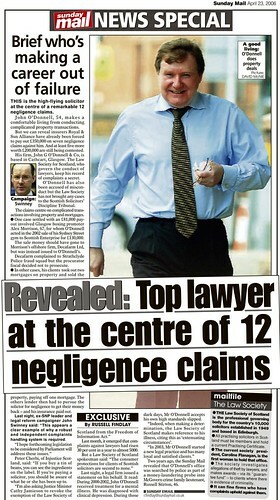 He has the full suite of ombudsman powers. persuasive in my role, but I have no power to require any change in practice. The Convener: Is £2,000 your entire budget for administrative back-up? It seems very small. Moi Ali: I have no administrative support. I work from home and I do my own administration. The £2,000 is for everything except my fees. Chic Brodie: I am appalled, although that is probably a strong term. In terms of how we close the loop, are you saying that, when you write to the Lord President suggesting a course of action,you get no feedback at all? Moi Ali: No. I do not suggest a course of action, because I am not allowed to do that. I will say that the rules were not followed and that it is over to him. Until recently, when the Lord President wrote to the person who had complained to me, a copy of the letter would be sent to me so that I knew the outcome. Recently, however, I referred a case back and was told that it would be reinvestigated, but I heard nothing more. At one of my quarterly meetings, I asked people in the Judicial Office what had happened to the case, but they could not tell me because it was a matter for the Lord President. I have written to the Lord President to ask him what I can expect, because I am unhappy about referring things back and not knowing what happened. Until now, I have found out, but I do not know whether that particular case has been reinvestigated or what the outcome was. Chic Brodie: Are the outcomes subject to freedom of information provisions? Moi Ali: No. The work of the Judicial Office is subject to that, but the Lord President’s work is not. The Judicial Office’s work is subject to FOI only if it does not involve a complaints handling aspect. 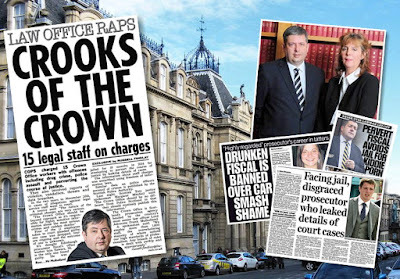 Jackson Carlaw (West Scotland) (Con): The petitioner has submitted further evidence that is rather interesting, because it points out that the Crown Office and Procurator Fiscal Service operates a register of hospitality and interests. Therefore, other sections in the judicial system do that without, it seems, any of the adverse impacts that the Lord President has mentioned to us.The focus of the committee’s attention has been the Lord President’s Edwardian-establishment disdain for the right of the hoi polloi—as I think he sees it—to have any understanding of such matters. 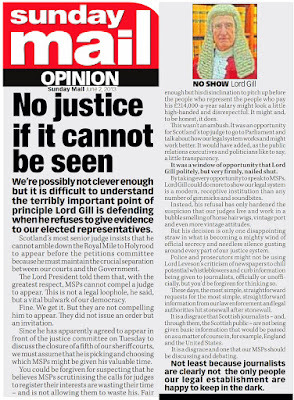 You have perhaps put it more politely, but it seems to me that you are not a million miles away from characterising the approach as being that the swish of judicial ermine and velvet should cow into deference the public and the legislature in relation to our right to understand the issues. I might have put it a bit more colourfully than you would, but do you agree? It appears that the Lord President is against the change because it has not been so to date. Moi Ali: I cannot speak for the Lord President. I would like to be as colourful as you, but I do not feel that I can be at the moment. In any institution in any sector of society, change is not always welcomed, particularly change that is seen to be challenging. Most institutions resist that, and it would be fair to say that it is seen as a threat. However, I prefer to see it as an opportunity. John Wilson: Earlier, you gave an indication of how you handle complaints. One example that you gave concerned a situation in which someone who sat on the bench was a relative of the person who had tried the case, or something like that. When a complaint of that nature comes to you, how do you verify the information that is provided to you? 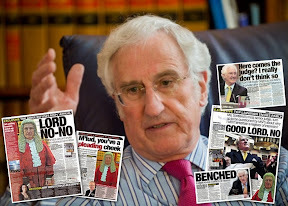 If there is an allegation of what you describe as nepotism, how do you get the information that enables you to process the complaint and pass it on to the Lord President? I simply look at whether the Judicial Office did what it should have done when the complaint went to it. John Wilson: At present, it seems that you are at the mercy of the Lord President with regard to whether the Lord President deems it necessary to respond to you and to the complaint. Moi Ali: Yes. I have no authority to suggest a course of action if I find that the rules have not been followed. I can only say that the rules were not followed and pass my report back to the Lord President. At that point, the Lord President has a few options, which are to do nothing, to reinvestigate or a variation of those two options. Basically, however, it is up to the Lord President to decide what to do with my report. John Wilson: As you say, the Lord President has the right to do nothing. If that happens, how do you respond to the complainant in relation to the way in which they have been dealt with by the courts? Moi Ali: Unfortunately, my role ends when I write my report. I write my report and send a copy to the person who asked for the review and, if the rules have been breached, a copy to the Lord President. I have to explain to the person who complained to me that that is the end of my role and that whatever decision is taken thereafter is for the Lord President. Inevitably, I get follow-up correspondence from people saying that they do not understand why the Lord President decided to do whatever he did or asking for clarification of something that they do not understand. works. However, my role stops at the point at which I send out my reports. There is no challenge to that. That is the end of the process. 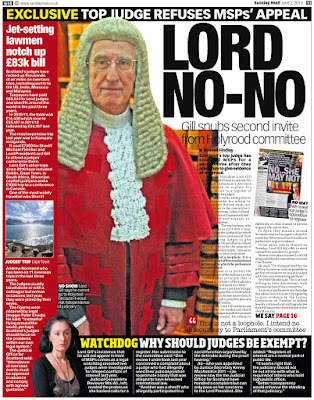 There is nowhere else to go, except judicial review, which would seem slightly absurd. John Wilson: So you do not have any powers to hold a Lord President to account for the recommendations, actions or lack of actions that they decide to take. The Convener: We have talked a little about unintended consequences, and it was said earlier that the Lord President has argued that a register could impact on the judiciary’s privacy. There are other aspects to that. It could also lead to harassment from the media or hostile individuals. What is your view on the Lord President’s comments? Moi Ali: I can speak only about my view as someone who has completed a number of registers of interest. My experience has been that there has been no kind of adverse media comment. I have not been hounded by the press. There has been no issue. At the moment, the press—how shall I put it?—has it in for the judiciary. The reason for that is that there is a great lack of transparency. I think that, because there is no transparency, the media feel that there is something to hide and that they need to investigate matters and find out more. I believe that that would end if there were transparency. Basically, we would get the complete opposite from what the Lord President fears, because everything would be laid out for people to see. The Convener: John Wilson has indicated that he wishes to make a final comment. John Wilson: Thank you for allowing me back in again, convener. The Lord President cites the section in the Scotland Act 1998 that says that judges or the judiciary are not accountable to this Parliament. Do you think that his interpretation is correct? I think that the Parliament should not be able to hold the judiciary to account for decisions on judicial matters or court cases, but do you agree that the 1998 act should be looked at to allow the Parliament and the public to hold judges accountable with regard to their register of interests and matters in which they might be involved? Jackson Carlaw: I am sorry, convener, but are we not straying some distance beyond the petition, which is about a register of interests? John Wilson: I do not think so. 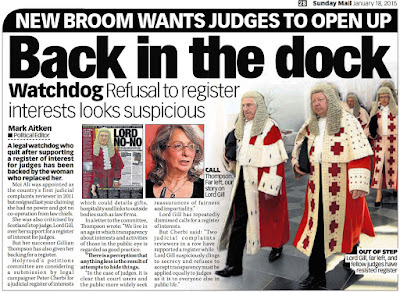 As I understand it, the Lord President’s response to us is that he does not agree that there should be a register of interests because judges are protected under the Scotland Act 1998. My question relates to the current provision in that act, because the Lord President has cited it as the reason for not giving evidence to the committee or for introducing a register of interests. 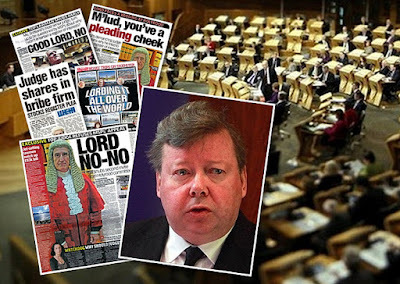 The Convener: To clarify the issue that Jackson Carlaw raised—and because Mr Carlaw might not be fully aware of our previous discussions—I should explain the background to this. 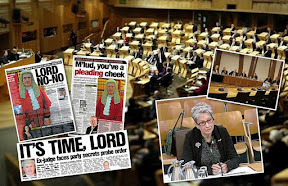 As John Wilson has suggested, we asked the Lord President to appear before us, but a provision in the Scotland Act 1998 stipulates that the judiciary cannot be required to appear before the committee. 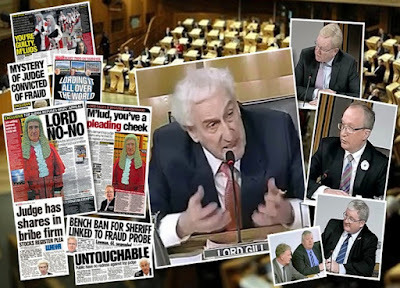 You might have noticed that the Lord President is giving evidence to another committee next door but, if he voluntarily wishes to go before a committee, that is entirely up to him. We have made arrangements for the deputy convener Chic Brodie and myself to meet the Lord President in a few weeks. I am conscious of time, so it would be helpful if the witness could be fairly brief. Moi Ali: Of course, convener. That goes back to my earlier point about judicial independence. I think that everyone will agree that politicians should have no part in influencing judicial decisions. However, judicial accountability is a completely separate issue. One should be accountable for one’s actions. I am independent of Government as well as of the judiciary, but I have come before the committee because I believe that I am accountable to the public through Parliament. You have no right to influence my decision making, but you have every right to expect me to appear here and give evidence. I think that the same applies to the judiciary. The issue that cuts through all of this is the need to separate judicial decision making, which must remain independent, from judicial accountability. The Convener: Before the committee discusses and comes to a decision on its next steps, I thank Moi Ali for attending the meeting. I know that it is not always easy to appear before a committee, but I am sure that I speak for other committee members when I say that I found your evidence enlightening and helpful. Members will have their own views on the different actions that we should consider with regard to the petition, but I still think that it would be useful to seek the views of Dr Kennedy Graham, the New Zealand MP who has a strong track record on the wider issues. What are members’ views on the next steps that we should take? 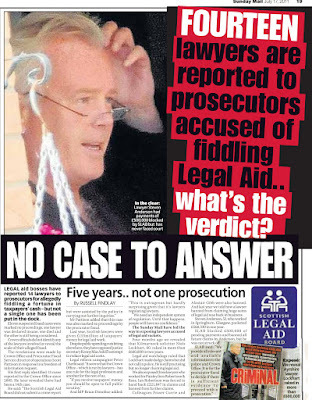 Jackson Carlaw: Given that, as the petitioner has pointed out, the Crown Office and Procurator Fiscal Service has a register of interests and given that issues to do with harassment, privacy and undue harm to the justice system appear not to have materialised, it would be useful to get confirmation of whether that is the operational outcome. After all, the matter goes to the heart of the Lord President’s assertions. The Convener: Would it be useful to write to the head of each of those services? Jackson Carlaw: Yes, in the first instance, because the point directly contradicts in a relevant way the concerns that have been advanced in opposition to the petition. The Convener: Do members agree to that course of action? Angus MacDonald: I certainly do, but we should also bear in mind the issue raised this morning of the JCR’s referrals to the Lord President. We should seek clarification on the procedure following such referrals and whether they are all followed up. After all, we have heard of one particular case that has not yet been followed up. 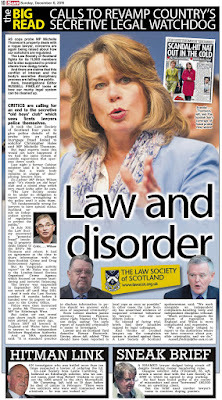 I wonder whether that issue could be raised with the Lord President when you meet him in a few weeks, convener. The Convener: If the committee agrees, I am sure that Chic Brodie and I will be happy to raise the matter. Jackson Carlaw: I am happy with that suggestion, although I feel that the issue—which emerged this morning and which I agree is important—definitely strays beyond the petition’s terms. Nevertheless, it is of material interest and could, following your discussions, be referred to the Justice Committee as a matter that it might wish to consider if it has not already done so. Of course, we cannot know that at the moment. The Convener: That is a fair point. If the committee agrees, we will raise the issue with the Lord President and, when we consider the petition again, discuss whether we need to refer other matters to the Justice Committee. Is that acceptable? 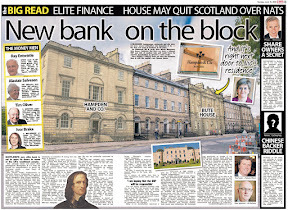 Chic Brodie: I would love to understand the rationale behind the provision highlighted by John Wilson in the Scotland Act 1998 that the judiciary does not need to declare any interests. I suspect that we would not be able to get that information, but it would be interesting to find out how the decision was made, who made it and where and when it was made. 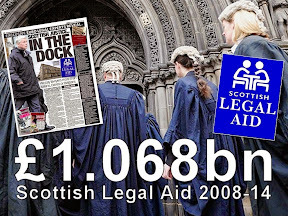 The Convener: As the clerk has made clear, we can ask the Scottish Parliament information centre to research the Westminster debates on the 1998 act. I was there at the time, but I am not sure whether I spoke on the matter. We will feed that information back to the committee as a point of historical interest that feeds into our wider argument. Are members happy with those suggestions? 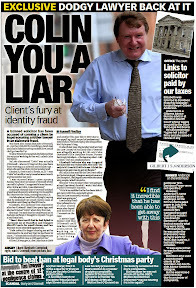 John Wilson: Jackson Carlaw is right that some of the issues that we have discussed go beyond the petition’s call for a register of interests, but I suggest that it would be useful to keep the Scottish Government fully apprised of the evidence that we have received on this issue, the discussions that we have had and the issues that have arisen as a result of our consideration of the petition. We should also ask whether the Scottish Government might be minded to review the JCR’s role in respect of the issues that have been highlighted this morning. 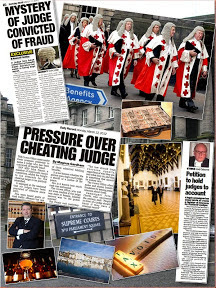 After all, we have to build confidence in Scotland’s judicial system. 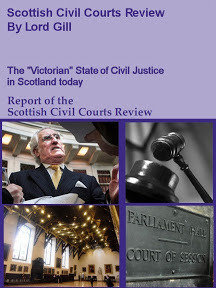 We have, for example, the Scottish Public Services Ombudsman, who can take a formal position on certain matters and make recommendations with regard to public bodies, but the Judicial Complaints Reviewer simply does not have the resources to review decisions that are made in Scottish courts in a way that commands the general public’s confidence. The Convener: If the committee agrees, we could put those points in writing to Kenny MacAskill and get feedback that we can discuss at a future meeting. Are members agreed? Members indicated agreement. 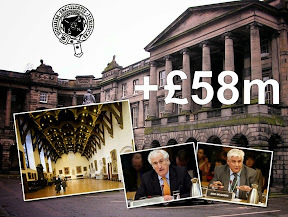 The Convener: The committee has agreed that we will write to Dr Kennedy Graham, an MP at the New Zealand Parliament; follow up some of Jackson Carlaw’s points; write to Kenny MacAskill; and ask SPICe to carry out some Hansard research. I again thank Moi Ali for her excellent evidence, which has really opened my eyes to some of the practical issues. I suspend the meeting for a minute to allow for a witness changeover.